Copper-nickel mining has been a key political issue for the past several years in northern Minnesota, but it's taken on new, broader prominence this year as the state inches closer to opening a proposed mine on the Iron Range, and as concerns over the environmental risks of copper-nickel mining continue to percolate. Just this week, amidst a deluge of political ads blanketing Minnesota's television screens this election season, two environmental groups launched a commercial featuring Carl Madsen, a former union electrician who now co-owns a lodge and outfitters next door to the Boundary Waters. "I understand the importance of mining," he says in the ad, featuring sweeping vistas of wilderness lakes. "But where they want to put this mine, in the Boundary Waters watershed, is not the right spot." The Friends of the Boundary Waters Wilderness is one of two environmental groups behind the ad. It created a political arm to provide $20,000 for the commercial. It's the first TV spot the group has supported in its more than 40-year history. 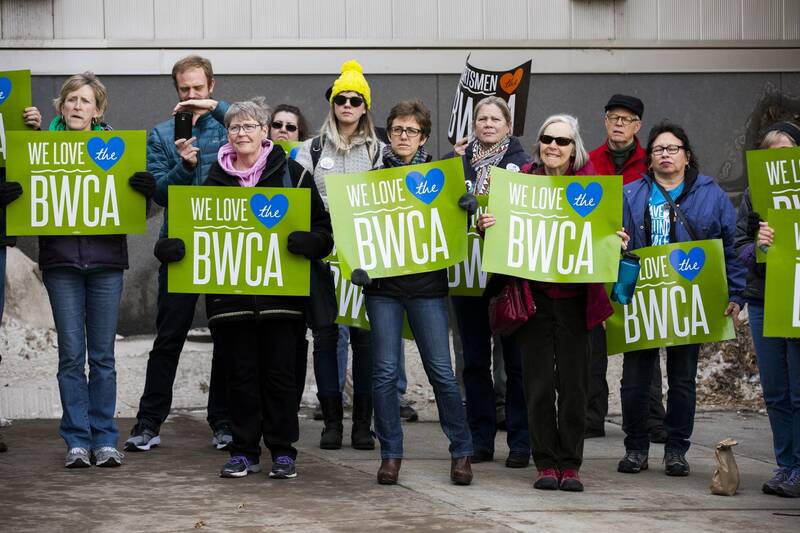 "We're involved in it now because the stakes cannot be any higher right now; the threat to the Boundary Waters is direct and immediate; and time is of the essence right now," said executive director Chris Knopf. Knopf and many of his fellow environmentalists are worried that mining on the edge of the Boundary Waters risks polluting a treasured wilderness area and threatens the region's outdoor recreation-based economy. "It's really critical that Minnesotans understand that the Boundary Waters is on the ballot this year," said Jeremy Drucker with the Boundary Waters Action Fund, the other group behind the ad. He and his colleagues are hoping voters choose elected officials who will prioritize protection of the wilderness. Meanwhile, another ad that's been airing since Labor Day trumpets the economic potential of copper-nickel mining in Minnesota. "Let's protect the environment, let's create jobs, let's grow Minnesota's economy," several people argue in the commercial. Then, at the end, retired pro basketball star, former Timberwolves coach, and Hibbing, Minn., native Kevin McHale says, "we support mining in Minnesota because it will be a slam dunk for all Minnesotans." "A big theme of our project is that mining is important not just to northern Minnesota, but for all of Minnesota, and developing these mineral resources will be of great benefit to the entire state," said the group's president, John Hinderaker. And, he argued, that can be done while also protecting Minnesota's environment. "Modern mining can be done and is being done in an environmentally friendly way," Hinderaker said. Many Democrats running in Minnesota have opposed the Trump administration's move closer toward mining near the Boundary Waters, including Walz in the governor's race and Joe Radinovich in the 8th Congressional District — which covers the Boundary Waters and the state's Iron Range. But so did a Republican, Erik Paulsen, who's in a tough re-election fight in the 3rd District, which covers Minneapolis' western suburbs, more than 250 miles from the Boundary Waters. He even made his first commercial after the primary about the issue. "When President Trump tried to take away important environmental protections for the Boundary Waters, I said no way. I'm for mining, just not there, it's too special, too important a place," Paulsen said in the ad. 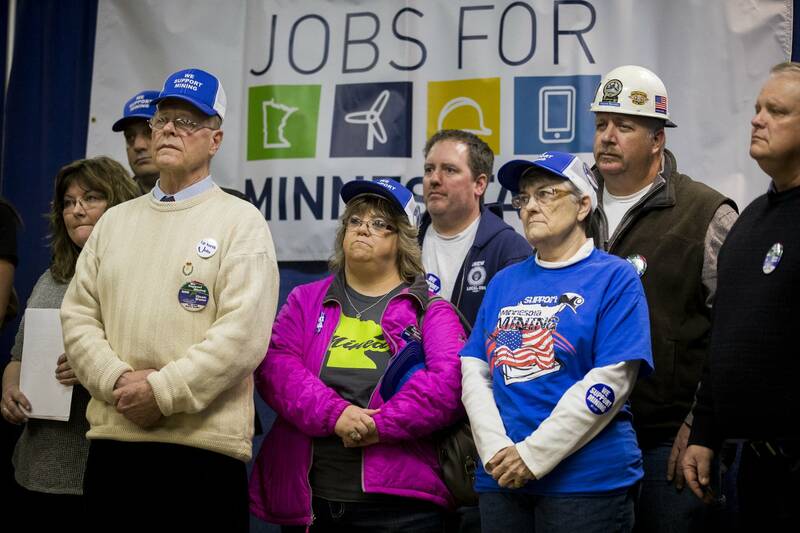 "And so, Erik Paulsen notwithstanding, the Republicans have had a clearer message: 'We support mining,'" he explained. "The Democrats, for electoral reasons, [and for] coalition-building, have to figure out ways of trying to bring together both groups." Democratic candidates like Walz in the governor's race and Radinovich in the 8th District both say they support mining, but only if the proposed projects prove they can meet all environmental standards. Their Republican opponents — Jeff Johnson in the governor's race, and Pete Stauber in the 8th District — say essentially the same thing. In the 8th District race, Stauber says he alone offers unwavering support for mining: "My opponent changes his stance depending on the audience he's in front of." His opponent, Radinovich, says he alone would hold mining companies accountable: "I just don't think that Pete has the credibility to make sure that he's asking the tough questions of these companies and make sure they are following the laws and regulations on the book." There are similar nuances in the gubernatorial race. 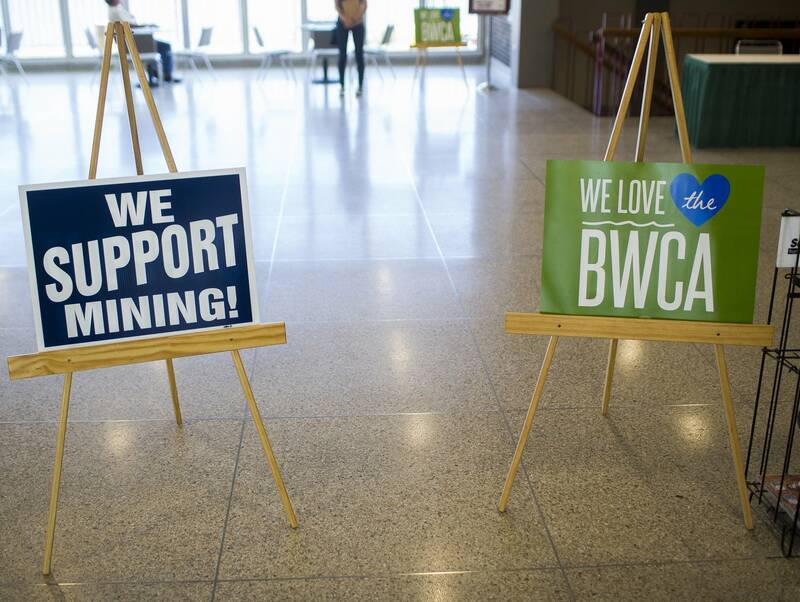 Walz says if mining can be done safely, he will support it, but has called the Twin Metals proposal near the Boundary Waters "a different animal" than PolyMet, which is bordered by an active iron ore mine. Johnson says he believes Minnesota can have copper-nickel mining and still protect the environment, and says he'll be an advocate in moving those mining projects forward. "At the end of the day," he said, "I really think a lot of these other issues are side skirmishes, or surrogate issues, for really what is the core issue in the election, which is really a referendum on Donald Trump."